If you have kids, you have probably tripped over a skateboard or stepped on a block a time of two. When those household incidents happen, you vow that you will finally get organized and that you will insist that your offspring put their toys back where they came from. Unfortunately, that resolve tends to dissipate over time, and you end up with the same disorganized mess you promised to leave behind. Once your foot stops aching and you regain your balance, you forget about your vow – at least until next time. 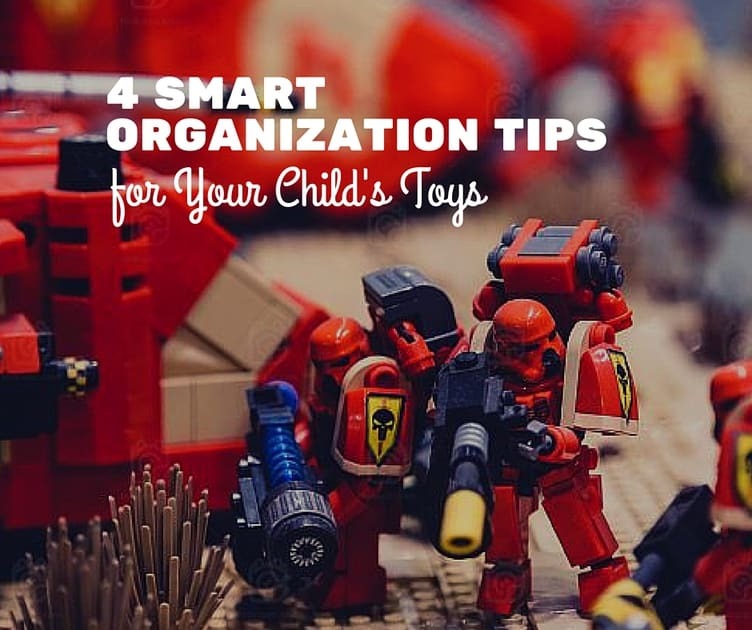 If you really want to keep your child’s toys neat and organized, there are some simple steps you can take right now – before you lose your resolve. These tips will not guarantee you never trip over a carelessly placed doll or step on a roller skate again, but they certainly will help. If you are in the midst of a bedroom remodel or moving your kid to a new room, look for creative storage solutions you can build right in. Built-in storage shelves and bookcases are perfect for kids’ rooms, and all that extra space can encourage your children to put their toys back where they belong. You can always use traditional bookcases and storage shelves as an alternative to their built-in counterparts. Built-in storage is a great solution, but standalone units can work just as well. Picking up their toys and keeping their rooms neat and tidy should be part of your child’s daily chores, but that does not mean you cannot provide an incentive for going above and beyond. Some parents stage surprise inspections of their kids’ rooms and throw a couple extra quarters in the piggy bank if all the toys have found their way back home. Closet organization systems are great for keeping toys in their place. Many closet organizers include pull out drawers and hanging shelving units that are perfect for storing stuffed animals, wheeled toys and sets of blocks. You can also use plastic storage blocks to provide extra storage for your kid’s toys. These blocks are designed to snap together, so you can stack them as high as you want and keep the room neat and organized. The toy box should be more than just a place to throw unwanted toys. Look for a toy box with shelves, trays and pull-out spaces for a variety of different toys. There are many great models on the market, and choosing one will make it easier for your kids to put their toys where they belong. Your kids may be more willing to put their toys away if they know they will be able to find their favorite playthings when they want them. Investing in a quality toy box that is easy to use and simple to organize is always a smart idea. No matter what the ages of your kids, providing smart storage solutions is one of the best ways to keep their toys neat and organized instead of underfoot. You do not have to put up with the clutter a minute longer – just look for creative solutions that encourage your kids to keep everything in its place. The F amily Manager Takes Charge: Getting on the Fast Track to a Happy, Organized Home Being a mom means more than being a wife and parent-it also means being the household accountant, building manager, cook, gardener, housekeeper, and personal shopper-just to name a few of the roles that come with the territory! 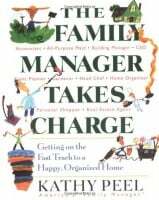 As America’s “Family Manager,” bestselling author Kathy Peel has shown millions of moms that running a household is like operating a business. Like any good C.E.O., every mother must know her goals, determine her strategies, and manage her human resources. Every smart manager knows that success depends on teamwork. Kathy shows readers how to get kids and spouses to help around the house-with lots of practical advice and encouragement to get them motivated and keep them going. With hundreds of time-saving, money-saving, and stress-reducing ideas, this indispensable handbook also shows readers how to take charge of running the home-without running themselves into the ground. The 7 Habits of Highly Effective Families In his first major work since The 7 Habits of Highly Effective People, Steven R. Covey presents a practical and philosophical guide to solving the problems–large and small, mundane and extraordinary–that confront all families and strong communities. By offering revealing anecdotes about ordinary people as well as helpful suggestions about changing everyday behavior, The 7 Habits of Highly Effective Families shows how and why to have family meetings, the importance of keeping promises, how to balance individual and family needs, and how to move from dependence to interdependence. The 7 Habits of Highly Effective Families is an invaluable guidebook to the welfare of families everywhere.